Tell a full story from prep to plating with an Epicurean pizza peel. 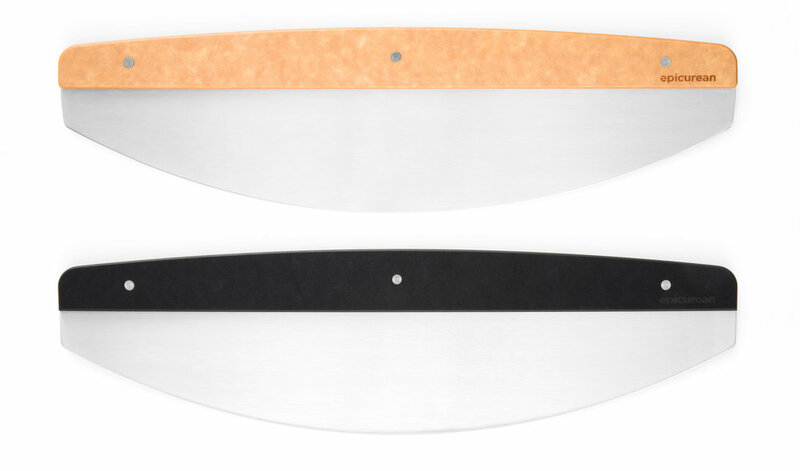 Epicurean Pizza Peels are as durable as they are beautiful. Every one will hold up to the abuse of the prep stationa and look gorgeous when presented to your diners. With a natural material that only looks better with time, you’ll get a brawn tool that will compliment the beauty of your pizza. 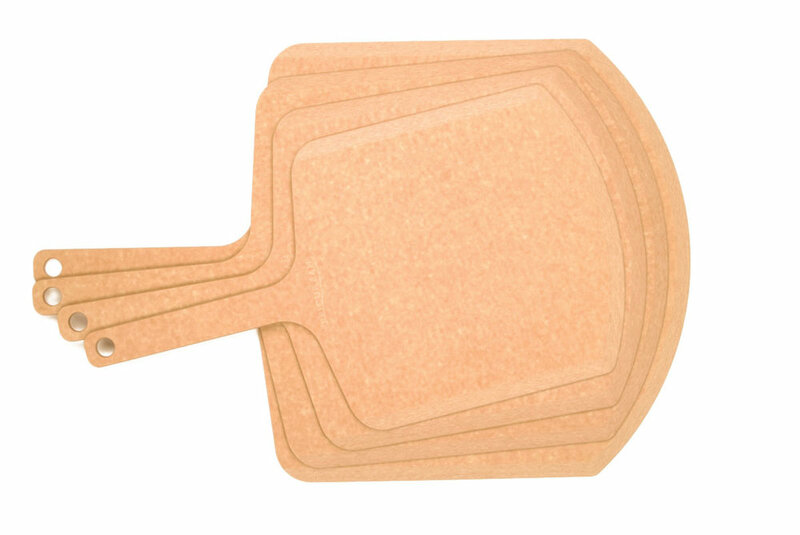 Epicurean’s commercial grade pizza peels are the sanitary solution for pizza and sandwich preparation. These peels double as excellent cutting boards and the beveled edges allow for smooth pickup of cooked or toasted foods. They are dishwasher safe, which makes clean-up a breeze. Their thin profiles and handle-hole make these easy to organize and store. Epicurean’s round pizza boards are made from the same material as our square peels but offer an alternative for serving round pies. These durable boards will take a beating and keep looking great so you can say goodbye to dented aluminum pizza pans. Our round boards are also a fantastic presentation and serving piece for buffets, breakfast items and pastries. Our Flat Bread boards allow you to showcase your food in an inviting, professional, and warm way—even if your food doesn’t use flat bread. Like all of the Epicurean Commercial boards, these are attractive, durable, dishwasher safe, and easy to maintain. These boards will fit right into any setting. Wood fiber and stainless steel are a match made in heaven. The USA–made, industry standard type 304 stainless steel used in the blade and the Richlite handles make sure these cutters last a lifetime.